I recently bought Imageprograf Pro 4000 from Canon. The first sample packs that arrived are from Canson, and I used my own art (entaglio etching) for a test prints. I am a bit worried with visible dot pattern on colors - I imagined that "pro" printer for photography and art, wouldnt have such issues. Screen is calibrated using X-Rite i1 studio. Output scanned with low quality scanner - Epson xp 610, at 600 dpi. Since I'm new to digital print - been printing art traditional way for years - is this the max I can expect from this printer? Thanks in advance for any input, I've been reading forum for long, so much interesting topics there, I'm glad to join and hope to keep learning new stuff. The best settings you'd want for printing photo/fine art is have the software manage colors (Photoshop) and make sure to turn the color management off in the printer settings so you don't have double profiling happen, have Black Point Compensation checked and choose Relative Colormetric. Also, don't do the highest print quality since it's trying to apply more ink to the print which "may" have another effect as you already have it at 600dpi which is a lot of data per inch. Try Standard since it will still print very well on the Pro series. Not saying that Highest won't work as well, but may help on a lower print quality with requested DPI on the image. If you scanned the image into the computer, the resolution may not be the greatest unfortunately, due to the way a low quality scanner can offer. Doesn't mean it will scan terrible, but it depends on the functionality of the scanner. Hopefully that will work with those suggested settings. These are recommended by our color specialist for best print output. While I do not scan prints, or view at high magnification, prints from our 4000, I'm not aware of a visible dot pattern. I never print at 600 dpi. I nearly always print from LR at 300dpi; always use Highest Quality in the Canon driver, and print on a range of papers including Canson Baryta. For that paper I use a Custom Paper Preset that I made, and with a custom ICC profile. The results, again to my eyes and to other trained eyes, look really good. The scan you post is a scan of your print, meant to depict your dot pattern, if I'm correct. Might I suggest cropping a small area of your image and printing that at 300? I'd be happy to make a small print of your image with our 4000 and send you a scan of that print. Thank you for so quick replies! The best settings you'd want for printing photo/fine art is have the software manage colors (Photoshop) and make sure to turn the color management off in the printer settings so you don't have double profiling happen, have Black Point Compensation checked and choose Relative Colormetric. I'm afraid I don't get all of that info. Should I not use Canons Plugin in PS (File -> Automate -> Canon Professional Print&Layout)? Only if I use the print function within PS, I can select options that you mentioned, if I go into CPP&L, I can't find a place where I would select what controls colors. Input file was scanned years ago on some big format OCE scanner - cant remember the name, but I think it was something with 4k in name. Input file looks great in PS, quality should be ok. I wrote about low quality of scan for my output example - this one I made on my home scanner, just to show what dot pattern I am worried about. I will try to follow those instructions, will see how it goes. I'm not aware of a visible dot pattern. I didn't create my own icc profile, since Im waiting on delivery of all media (its very long waiting time there where I live) and all I had to use was sample pack. All the printing should be done using Canon Print Studio Pro under "Automate". There you'll find k the mentioned options. Forget about printing directly from PS Print until you get yourself accustomed to the printing workflows on PRO-x000 series. As I can see as of now you're using "Canon Professional Print&Layout" instead of "Canon Print Studio Pro" and I see no particular reason in doing so unless you're using DPRAW functions on an specific model of Canon camera (5D Mk4 or EOS R system). Try switching back and you'll find the missing options. I own a PRO-2000 and have never, ever seen any coarse printing like that you're mentioning. Since I don't have access to the the source image it's kinda hard to get a better understanding of what's going on there. I'd be happy to make a small print of your image with our 4000 and send you a scan of that print. John, I uploaded 2 files into that gdrive link. Crop_Bull is crop out of the file I used to print. Crop_Lotus is small part of big work that I also printed on sample of Canson Museum Velin - that flower looked all dotted when printed. I'm really curious of results from someone more experienced from me. My advice is to take smaller steps, given you have a new printer and limited experience. First, print a known high quality reference image, I use http://www.jirvana.com/printer_tests/PrinterEvaluationImage_V002.zip. Keep your setup simple to begin with, I recommend directly out of LR or PS, whichever you are most comfortable with, NOT using the Canon plug-in. I would use a standard Canon paper to begin, something like Photo Paper Premium Semi-gloss. If you would rather use the Canson make sure you have the correct profile downloaded and installed into your system. And be careful of confusion between ppi (pixels per inch) and dpi (dots per inch). I don't want to be insulting, but it appears to me reading this thread there is at least a lack of definition, your printer will print up to 1200x2400 dpi, but you should be able to feed the image in at 300 ppi and achieve full quality. If it were me, I would run the printer highest quality, making sure that is consistent with the Canson profile requirements. Assuming you have a calibrated/profiled monitor, you should be able to compare the printed output to your monitor and verify if you are doing the steps, including color management settings, correctly. Once you are comfortable with the basic process, then layer on additional steps, such as the plug-in. Only after you can make the system operate properly with a known-good reference image should you start with your images, IMO. I have looked and rechecked a few times both your Bull scan and the "Crop_Bull" and I am not able to get the exact fault, the dots you're seeing. It might be because the scan is of very poor quality, I don't know. But the "original" image (Crop_Bull) isn't, from a printer perspective, a top notch image either: it's noisy, it's got quite a lot of cloth marks, and it's rough by its nature, which is understood given it's a work of art reproduction (photographed) and not a photography in itself. Thus I think you should not expect wonders from your PRO-4000. It will mercilessly reproduce the quality of your input photo including the roughness. But there might be those dots you're telling about I am not able to clearly distinguish. Could you try to take a photo of the actual print in an controlled light environment (as much as possible controlled!) and post it? I think it would still do much more justice to the print and help trace the problem than the poor quality scan. I honestly had no idea there are2 apps, they have exactly same manual, look same (with Digital Pro being less interactive in interface, and uglier). What's the purpose of them both, as seems that one have more then the other (in Professional Print and Layouts I can automatically get info about loaded media, and it's much easier to put more works on 44" roll). I uploaded photos, I hope the imperfections I'm bothered with are visible. Thank you, I will try to follow on that. This is weird, I am not able to select cut sheet source of paper within driver, if I use Plugin it downloads data from printer, and I can select my custom paper. If I try to print directly from PS, only roll (plain paper 80g), is visible. I updated media from driver, utility tool to check what medias are loaded into printer correctly shows 2 kind of papers - yet in driver cut sheet is greyed out. I believe you should provide information as to your system and configuration, including screenshots of settings. Have you gone to the Canon website and downloaded/installed the latest drivers? How is your printer connected to the system? Time to get into the details. Added by edit - I'm not familiar with this printer, hopefully one of the many experts on this forum will check in. Have you done a nozzle check? Are there any alignment procedures called out in the manual, to be performed before printing? If this helps you we could arrange a TeamViewer session, later today (evening), to help you go through the print or just validate together the setup, settings and steps you're taking before printing. If it's ok with you just drop me a PM and we can discuss the details. Perhaps the choice of paper limits the feed options? In any event you should avail yourself of dehnhaide's kind offer, always better to go thru these things in an interactive mode. I'm curious, you stated you purchased the printer from Canon? I would think for an item of this cost they would provide some setup assistance, at least by phone. Added by edit - went to the Canon website and looked thru materials related to your printer, quite a beast you have purchased. I did note several late 2018 driver/software items for Mojave, did the install process automatically update to the latest versions? There was also firmware dated 12/18. I live in Croatia, the team that was setting up printer saw it first time in their life - we know more about it from reading manuals available on canon support than them. They set up printer, print test page and went away. I ordered Canon papers, but they need 5 weeks to come there - since they first need to come to Netherland, then to Croatia, then to me. I can have Canson papers within 3 days, as I order and deal directly with their Italian HQ, Hahnemuhle also needs weeks and weeks before I can have them. Only paper atm I have is 42" roll of 80gsm plain paper, without coating, just bough to print anything and not leave printer not printing, and sample packs from Canson, and some 'noname budget' 100 sheets of A4 matte photo paper 170 gsm. I'm open for any interactive help, I know there is a lot little steps that can matter, I just don't believe that working in PS and AI from Adobe for years, selecting plugin and printing would be a place to make mistakes - I'm afraid that cause of problem is somewhere else. I would love to see any photo of artwork on non-photo paper printed by someone else. Maybe I am overreacting, and I believed marketing materials too much in promised quality of prints - but on that reference photo mentioned by you (Rasworth), I can see with naked eye single dots of colors on color patches. I believe I would achieve such results on my old desk Epson 610. Your files are downloaded and I'll print the crop bull file by tomorrow. So I understand the output you were viewing, at what physical size did you print the file (10808 x 7621) ? I may not print the overall identical size for your test, but I'll print a portion of the file to the same relative physical size. You should definitely NOT see dots with your printer, something is wrong. Please check my last post again, add by edit, wrt to verifying latest drivers/software/firmware loaded in your system. Rather than waste your good paper use the budget paper, select a similar Canon paper. You're not looking for perfection at this point. I was printing on Sample Packs from Canson - A4 paper size. So I print that Bull on full A4 (as much as borders allowed). Added by edit - thank you very much for doing this! Sure. 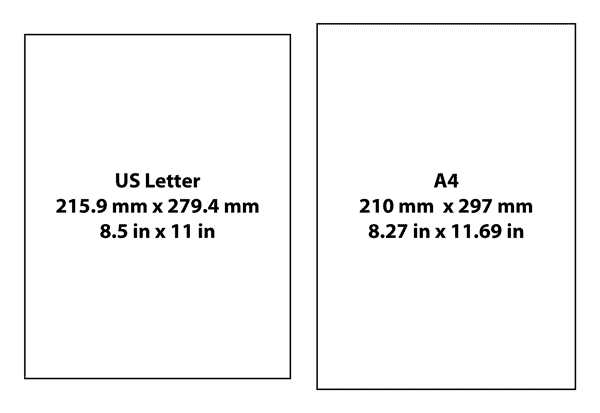 A4, meaning Letter size, 8.5" x 11", correct? I went to canon support www, downloaded all and installed once again (I unplugged and removed printer before doing that). Connected via Lan, Cat5e cables. Media configuration tool updated, driver update of media configuration afterward. I downloaded and examined the files from the Google drive. Are the dots you observing a repeated pattern as you said or random white dots on the black areas of the print? Many times I start to worry when I see artifacts on a print just to realize that there were there in the file from the beginning. As it was said above the printer is going to reproduce even very small details as in your situation artifacts from the scan process (hair, dust etc). For a perfect print of a scanned artwork very good retouching is required.